At stations beyond Seymour, where the Shepparton and the Albury line branch off, there’s usually only about 3 trains each way per day. But at Seymour, there are 20 to Melbourne on weekdays, and 13 on Saturdays and on Sundays. The more services, the more options, more freedom. Some people will drive to Seymour to get that… just as in the past some people would drive to junction stations like Caulfield — I suspect this happens less now that the Frankston and Dandenong both run every 10-15 minutes, 7 days-a-week (at least in the daytime). ← Previous Previous post: What are the load standards for the different types of trams? V/Line would like the government to upgrade the Seymour to Shepparton section so to enable Vlocity trains to service the line. 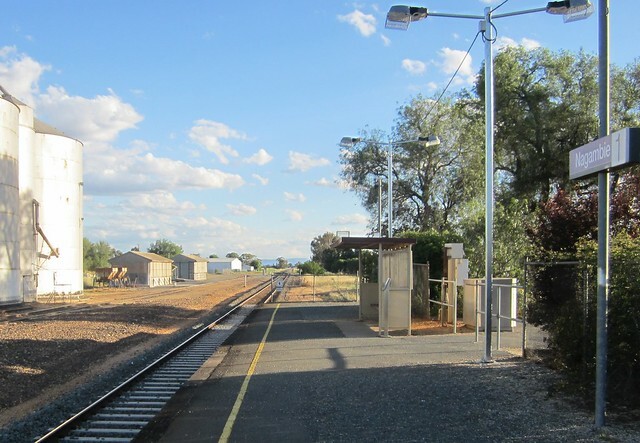 Perhaps after an upgrade, every second Seymour train could extend to Shepparton with the expectation that if patronage requires, all or most Seymour services could be extended. I miss the days when there were more than three trains to Wangaratta! They weren’t that long ago, either. When I’m travelling to my parents’ place, it would be nice to have an option between the 7am or midday trains that exist at the moment.